Lamp Community—a Los Angeles based group that advocates on behalf of the homeless—and the L.A. County DHS operate a similar 38-bed facility in East Rancho Dominguez, but this will be the only one on a hospital campus. The proximity, Trotz said, will help simplify the transfer of patients from the hospital to the Recuperative Care Center and improve communication between officials at the hospitals and those at the care facility. With an operating budget of approximately $3 million, the care center will be staffed largely by registered nurses and nurse practitioners overseen by a licensed physician who serves as medical director. The facility also aims to help cut long-term costs associated with the care of homeless patients. L.A. County reports it spends $70 million a year on inpatient costs for the homeless. Staying in the hospital longer than is medically necessary also puts patients at greater risk of developing additional infections. According to a study published by the American College of Healthcare Executives in 2011, approximately two million patients develop healthcare-associated infections per year. 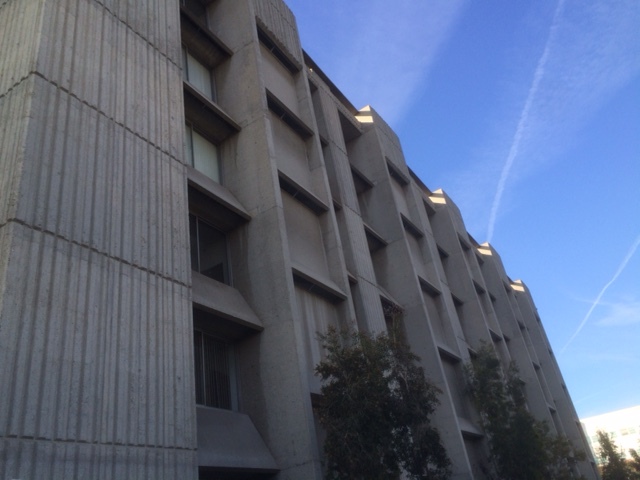 Housing for Health officials and those at Supervisor Ridley-Thomas’ office began discussions for the project in 2013, but because the dormitory went unused for many years, it had to undergo substantial renovations. Vera said the elevators were initially not operational and bees had nested in some of the walls, while others had holes or had sprung leaks. Renovations are now complete and officials are putting final touches on the facility including selecting artwork. In addition to recuperative care, the center will feature a program to engage residents with art and has partnered with a community group that will provide meditation services aimed at reducing stress levels as patients prepare to reintegrate into the community. Michael Hochman, an internist and health deputy for Supervisor Ridley-Thomas, said a safe, communal and social environment is instrumental in ensuring recuperation and preventing future hospital visits. Additionally, he asserts that access to daily meals is important for regaining strength and is often something the homeless lack. Both Trotz and Vera emphasize that the facility will not serve as a long-term housing option for the homeless. County hospitals have a screening process under which they will determine if a patient is eligible for the Recuperative Care Facility. Patients will likely stay for no more than six weeks. As patients recuperate, officials at the center will work to link them to social services and help them find permanent housing while collecting data that will track how long they’re there, what services they’re getting and what their health needs are. The facility plans to gradually begin accepting more patients after the initial opening this january. Trotz said the new facility is indicative of a broader shift in tackling both healthcare and homelessness and in viewing the needs of the homeless with a larger scope. He hopes the facility will serve as a model for other county hospitals in Los Angeles and throughout the country.